Based on the hit puzzle building platform designed by Joel Weinshanker, president and COO at NECA and board game designer Mike Elliott, the new app incorporates the platform's exciting strategic gameplay, optimized for mobile devices. 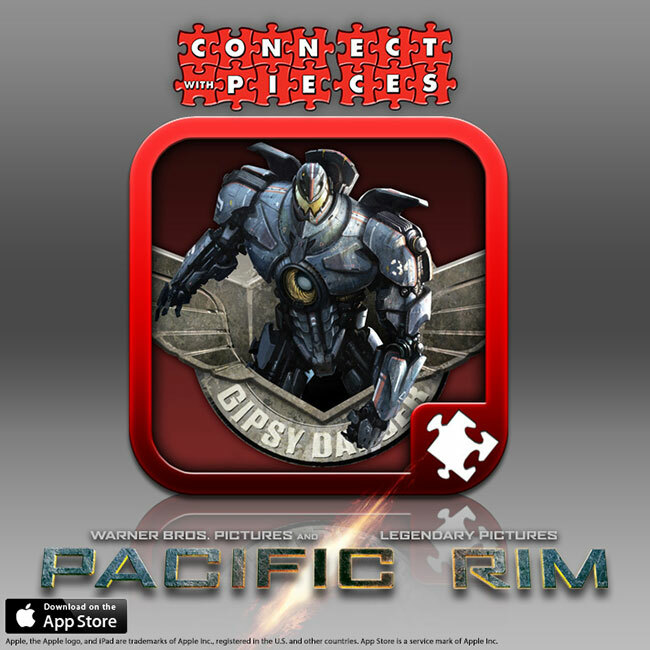 The app features single and pass-n-play game modes and a selection of custom PACIFIC RIM branded puzzle images. Additional branded puzzles are set to launch late summer. MFV, majority-owned by NECA, is a game development studio dedicated to merging physical merchandise with interactive technology. MFV combines an extensive catalog of intellectual properties with a veteran team with offices in Los Altos, CA and Cary, NC. From acclaimed filmmaker Guillermo del Toro, comes the epic sci-fi action adventure Warner Bros. Pictures and Legendary Pictures PACIFIC RIM. 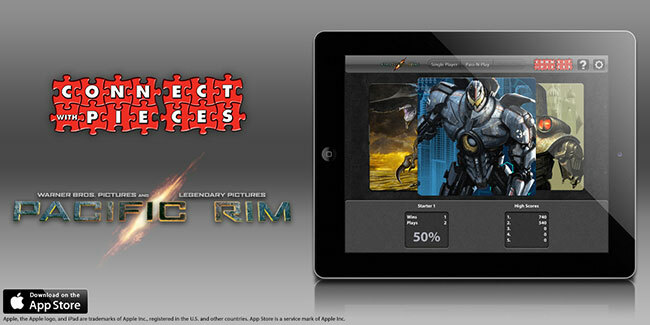 Oscar® nominee Guillermo del Toro ("Pan's Labyrinth") directed the epic sci-fi action adventure "Pacific Rim" from a script by Travis Beacham and del Toro, story by Beacham. Thomas Tull, Jon Jashni, del Toro and Mary Parent produced the film, with Callum Greene serving as executive producer and Jillian Zaks co-producing. The film stars Charlie Hunnam (TV's "Sons of Anarchy"), Idris Elba ("Thor"), Oscar® nominee Rinko Kikuchi ("Babel"), Charlie Day ("Horrible Bosses"), Rob Kazinsky, Max Martini, Clifton Collins, Jr., Burn Gorman, and Ron Perlman (the "Hellboy" films). Del Toro's behind-the-scenes team included Academy Award®-winning director of photography Guillermo Navarro ("Pan's Labyrinth"), production designers Andrew Neskoromny and Carol Spier, editors Peter Amundson and John Gilroy, and costume designer Kate Hawley. The music is composed by Ramin Djawadi. The visual effects supervisors are John Knoll and James E. Price and the animation supervisor is Hal Hickel. Warner Bros. Pictures and Legendary Pictures present a Legendary Pictures/DDY Production, a Guillermo del Toro film. The film will be released in 2D and 3D in select theaters and IMAX®, and will be distributed worldwide by Warner Bros. Pictures, a Warner Bros. Entertainment Company.